5. They thought the screen was huge! The Iwata Asks series up to now has largely focused on new products prior to their release, so I guess all of you who have worked on the development of Nintendo DSi XL thought on the launch date that I was not going to interview you this time. Actually, I had been thinking for some time that it wouldn't be a bad idea to conduct an Iwata Asks interview after hearing feedback from customers who had bought the product. I also thought that it might be an interesting experiment to communicate the intentions that lay behind a product’s development after it had been released. 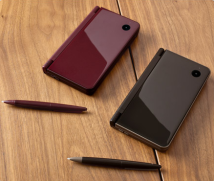 This is why, a little over a week since the release of the Nintendo DSi XL in Japan – I’ll go ahead and specify that today’s date is 30th November – I am going to interview the team behind this new console. Thank you very much everyone for joining me today. Let’s start by getting you to introduce yourselves and briefly describe what your role was on the project. Let's start with you, Yoneyama-san. My name is Yoneyama and I work in the Research & Engineering Department. 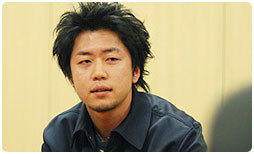 The project leader was Kuwahara-san, who is sitting beside me. My role was to use my experience and to support Kuwahara-san in my meagre way from the developmental stage of the Nintendo DSi XL right through to the finished product. Yoneyama-san, you headed over to the factory in China and took charge of proceedings, making incredibly strenuous efforts on behalf of the project. 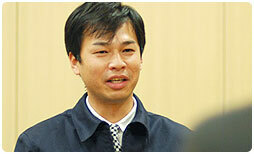 Kuwahara-san, how did it feel to be supported by a master such as Yoneyama-san? So Kuwahara-san, we’ve established that you relied greatly on Yoneyama-san. Could you introduce yourself properly? 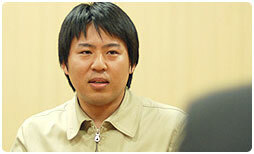 My name is Kuwahara and I work in the Research & Engineering Department. I was project leader for the Nintendo DSi XL. 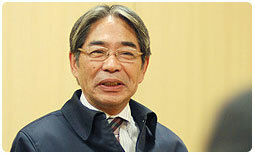 Kuwahara-san, you also took part in the Iwata Asks interview about the Nintendo DSi. So right after that project, you continued in the role of project leader this time round. Yes, it was a great honour to lead the project. But though my role was project leader, if I had to put my finger on what precisely I did, I’d say that I lit the touchpaper for the project. Once development got properly under way, I think it would be fair to say that I was basically just watching from the sidelines. At the point where we were just about to start mass production, Yoneyama-san had already been working extremely hard for a long period over in China. If he had been a younger colleague, I could have said something like: “Go for it! Just one more push!” But with a senior colleague with as much experience as Yoneyama, I was a little concerned about his health! (laughs) I’ll ask more about China in a little while. Okay, on to you, Amano-san. My name is Amano and I work in the Research & Engineering Department. I was responsible for the mechanism design for the console. I think when you use the term mechanism design, there may be those readers who don't have a clear image of what that means. Could you tell us what it entails? Once you receive the proposed console design from the designer, the task of a mechanism designer is chiefly to make decisions related to turning that into an actual product: for instance, where to position the parts on the semiconductor base; how the internal parts should be arranged; and what the sizes of each of the parts should be. If you don’t think carefully about the internal structure, you’ll end up with a product that isn’t dependable. So your job is to turn “dreams into reality”. (laughs) There were three people responsible for the planning of this console. My role was to look after the upper screen and related area. When did you join the company, Amano-san? This is my eighth year at Nintendo. That means that you’ve been building up experience ever since the Nintendo DS1 came out. 1The Nintendo DS is a handheld console first released in November 2004. When it comes to console design, my first involvement was with the previous console, the Nintendo DSi2, where I was also responsible for the top screen. 2The Nintendo DSi is a handheld console released in Japan in November 2008. Additional features include two cameras and an SD Card slot. My name is Fujino and I work in the Research & Engineering Department. I worked on the design side, so it was me who was responsible for those whims that are necessary in order to turn dreams into reality. The polished top panel that I think you could call the stand-out feature of the Nintendo DSi XL in terms of its design apparently created a huge amount of trouble at the end. I'm going to ask more about that a little later on. But before that, can I ask if this was the first time you’ve been the main person in charge of designing a console? Yes, it was the first time for me. And how many years is it since you joined the company? This is my seventh year. So am I right in saying that up to now you’ve seen your seniors wrestling with hardware design but with the Nintendo DSi XL, you got to be the person in charge of this design for the first time? That’s right. Up to now I’ve worked on things such as peripherals. This time round, I was placed on the main stage which was extremely tough but was also incredibly rewarding. Okay, let me start by asking you to explain where the original idea of having a Nintendo DSi with larger screens came from? Certainly. Well, after the Nintendo DS Lite3came out, we wanted to make the graphics a bit more easily viewable by having bigger screens and we even got as far as producing a mould4, conducting developmental trials and were at the stage where we could have gone into mass production. 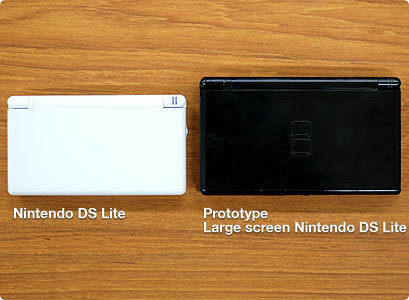 But... 3The Nintendo DS Lite was a more slim-line version of the Nintendo DS and was released in March 2006 in Japan. 4A metal mould is used to cast the shape of the finished console by having plastic poured into it. It is necessary for mass-production. ...But in the end, it was never released. Right. Things were going very well with the DS Lite, so it was decided that we’d put it on the back-burner for the time being. This large version of the DS Lite was in development in 2007, but there were a significant number of customers at that time who were waiting to purchase the DS Lite and we were unable to keep up with the scale of demand. We were also struggling to try to ramp up the production of the Wii console which had been released in 2006, so I thought that to release yet more hardware and further diffuse our energy would have been wrong. That’s why I personally made the decision that the timing just wasn’t right. As someone who has long been involved in manufacturing products, I knew how difficult it would be for the people involved in making this to accept that the product they had created wouldn't be released. But while I was aware of this, I had to make the decision that this should remain "pending" and would not be released. (laughs) But at the time, in terms of cost, our limit for the LCD screen size was about 3.8 inches. Also, we wouldn’t have been able to use wide-viewing angle LCD displays as we’ve been able to with the Nintendo DSi XL. So, you made the bigger DS Lite to see what it can do, so to say. Do you mean that the images are more powerful? No, it's not really the power of the images that I’m talking about. What I felt was that it was plainly easier to see and, more than anything, it felt somehow kinder and more gentle. I see. So with a large screen, you’re able to get that gentle sense.